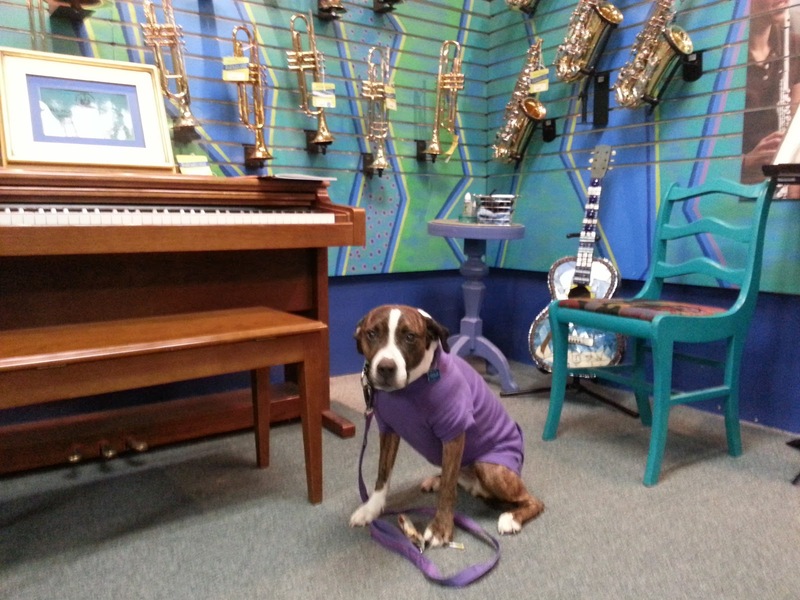 This week, Tess got to go on an extra-special outing...to the music store!! The local shop, World of Music, allows "well-behaved" dogs into the store. We were really excited to try this out. So when Sam needed to see about a gig bag, we grabbed our "well-behaved" dog Edison Tesla and headed down! She was a big fan of the ukuleles - they were just her size! 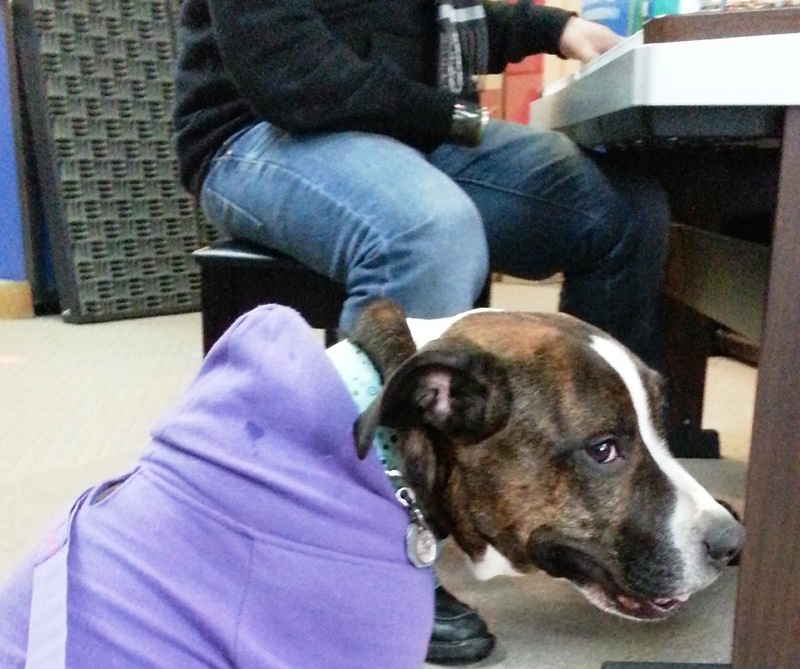 She listened to a wonderful pianist (no...we're not biased *wink*). She even visited my favorite sections -- woodwinds! 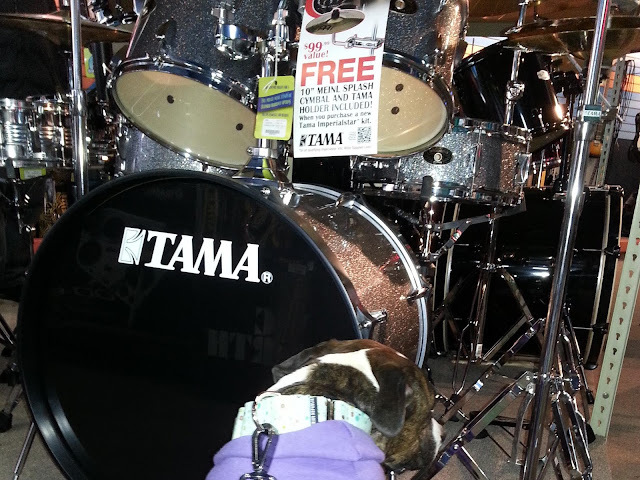 This sparkly drum kit caught her attention in the percussion section. As did these nice "sticks". When we were checking out, Tess saw something that she had to have...a kazoo! 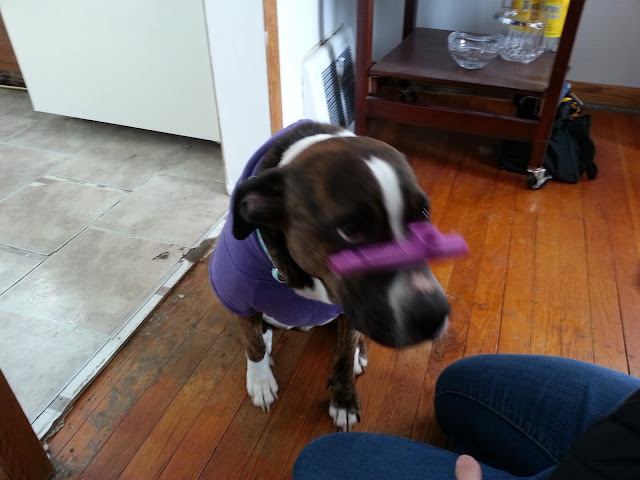 She soon realized that dogs are unable to play the kazoo and instead worked on her parlour tricks. 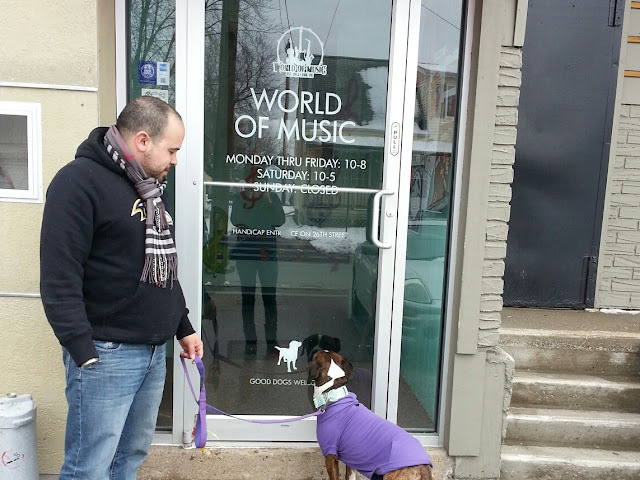 We had so much fun visiting World of Music, taking in the sights (and sounds! ), and working on our kazoo-playing abilities. Are there any stores in your area that you like to take your pooches? I would be her groupie or roadie! 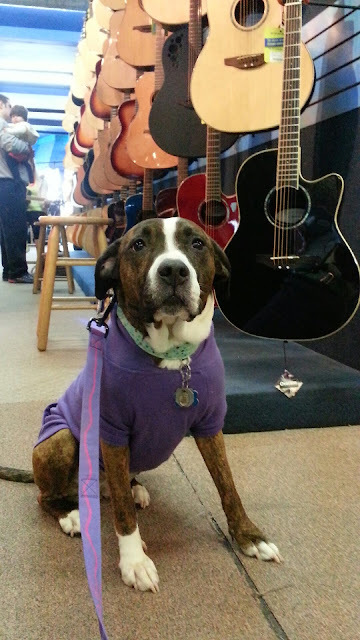 Look how adorable she is in the purple! 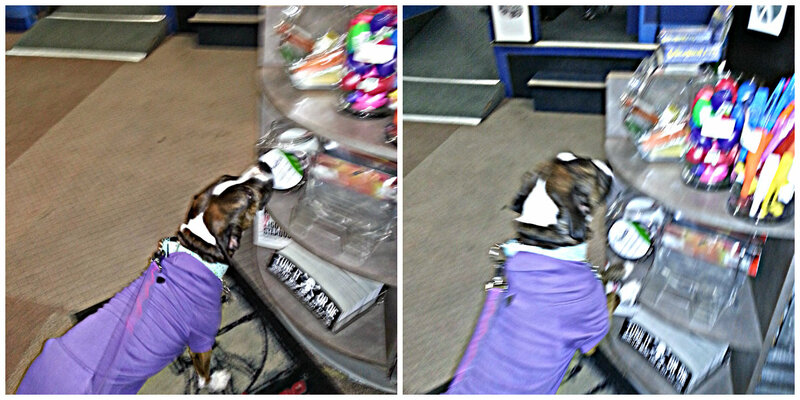 Love dog friendly stores! What a little honey you have. Us, too. 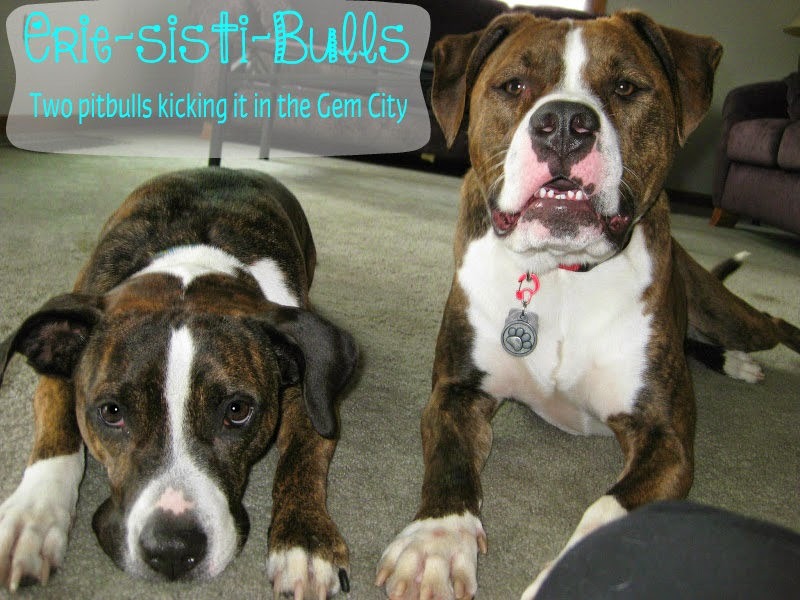 It's a great chance to get the dogs some positive socialization. 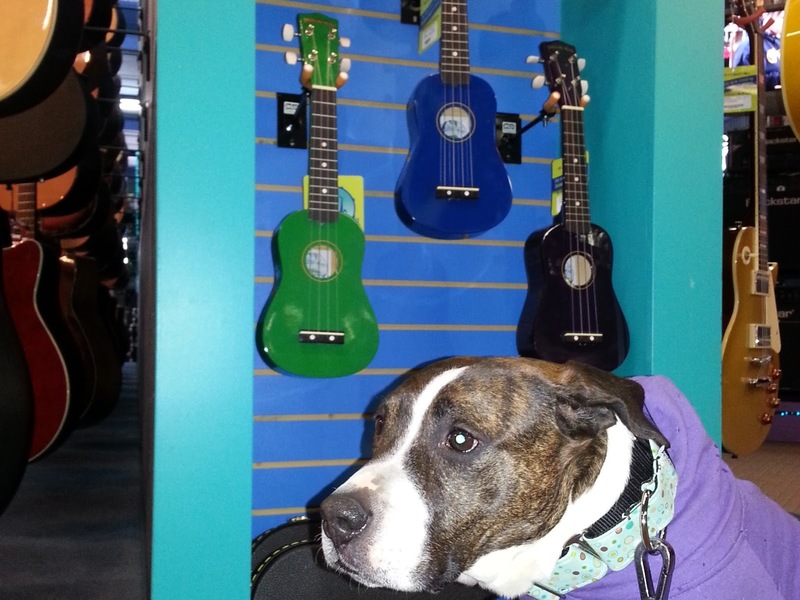 Unfortunately, outside of the pet stores, there aren't alot of places we can take them -- especially in the winter! Once the weather breaks, we like taking them to the ice cream stands where we can hang out outside and they can get pets. 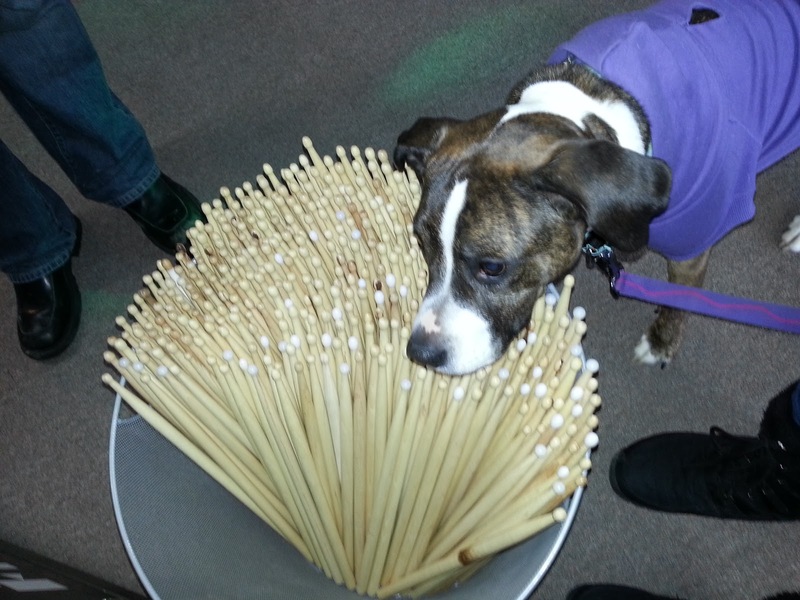 It's so funny when you find something that your pooch is experiencing for the first time. Their reactions are priceless! Have you "Liked" us yet? !